The main purpose of making a mobile app is to make our life easier (or lazier). 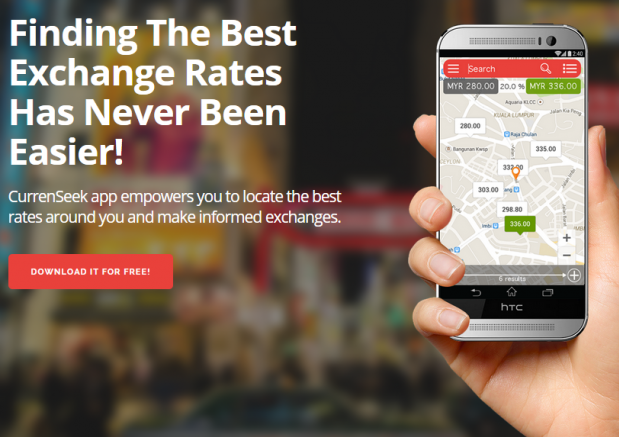 This is where CurrenSeek comes in, hoping to help and empowers travellers to locate the best exchange rates, easily and quickly while they are on the go. As a local startup created by Intuitive Asset Sdn Bhd, one of the things that CurrenSeeks does is that they “empower you to get the most bang for your buck by avoiding any extra and hidden costs associated with using credit cards and ATMs abroad”. Traveling overseas involves a lot of expenses, especially when it comes to converting currency. Plus it hurts even more in Malaysia with the weakening Ringgit (RM). To avoid paying extra, we tend to put a little more effort to search for the best exchange rates, calling one FOREX provider after another, relying on referrals from others to find out which places gives the best exchange rate. To strengthen their core reason of existence, the CurrenSeek team claims that you can save up to 200% of your travel money with their service. They blogged about their experiment and you can check that out here. The CurrenSeek app is currently available on Android and they have an iOS version on the way. 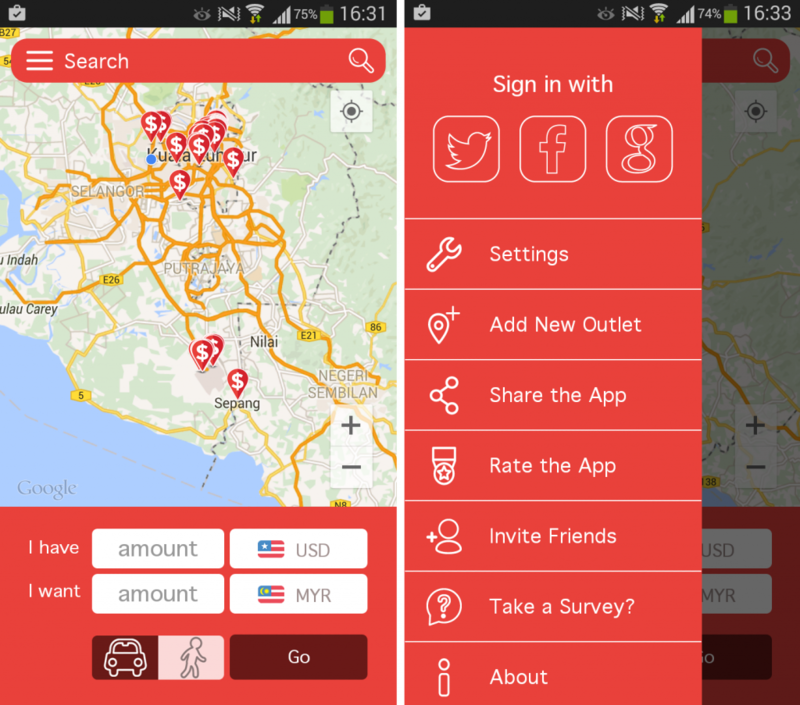 In the app, a map will show various locations of outlets and the currency rate. 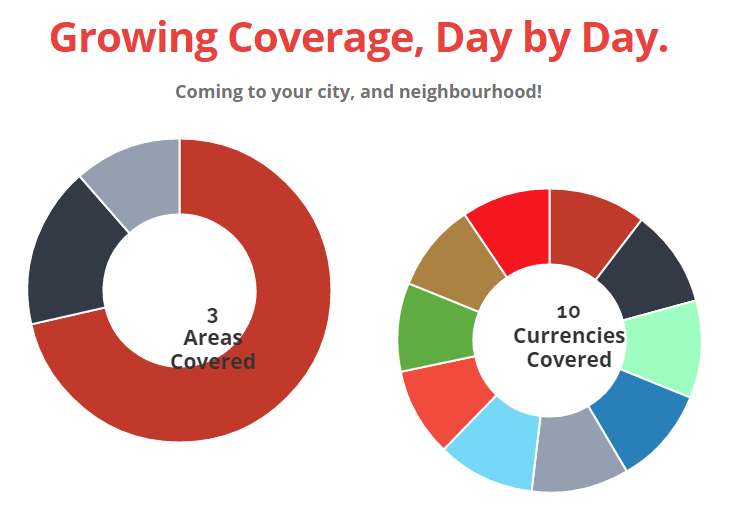 Once you key in the amount of money that you would like to exchange, the app will show you an overview of all the rates and also the disparity between them. The results varies depending whether you choose the “walking” icon or “car” icon. Left: The result I get when I chose the “walking” icon. Right: The result I get when I chose the “car” icon. Currently they are only covering three areas: the central of KL, KLIA1 and 2. But they are expanding every day to include more areas. The currencies that they include now are USD, GBP, AUD, SGD, EUR, RMB, TWD, KRW, JPY and IDR. The app was launched in April hence it is still relatively new. What’s promising about it is that other than showing real rates that are located at our nearest location, there is also a social aspect to the app whereby users can can share the best rates with their friends. This is especially useful for people who are travelling in huge groups because everyone can use Waze to navigate to the exact location with the best rates and they can all save their total expense collectively.